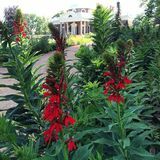 Handpicked by the experts at the Thomas Jefferson Center for Historic Plants, we have a wide selection of hard to find plants you can buy online. Shop our collection of heritage and native plants including perennials, shrubs, trees and vines. You won�t find these in big box stores or your local nursery. 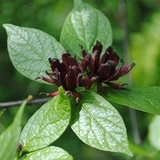 Find Blackberry Lily, Virginia Sweetspire, Franklin Tree and more. Our online nursery is open for Spring 2019! Our Potted Plant Collection starts shipping in early April. Due to individual state restrictions we cannot ship plants to Arizona, California, Oregon, Washington, Canada, or Hawaii.